Venezuela | 2013 | 101 min. Us Americans tend to rate movies in the same way we rate our beers, by putting them into two categories: domestic and foreign. Though my tastes and standards are informed by watching hundreds of American movies, whenever I’m evaluating a foreign film, I try to judge it as it compares to other foreign films, specifically those of the same region. A European film is compared to other Euro films I’ve seen, and so on. When I’m rating a Latin American comedy, I compare it to No se aceptan devoluciones, whereas a film like Amores perros sets the bar for dramas. Having made that much clear, you can now appreciate my saying that La casa del fin de los tiempos (The House at the End of Time) is a damn good horror movie, foreign or otherwise. This Venezuelan entry follows Dulce (Ruddy Rodríguez), a mother who spends 30 years in prison for murder after her son Leopoldo (Rosmel Bustamante) seemingly disappears into thin air. 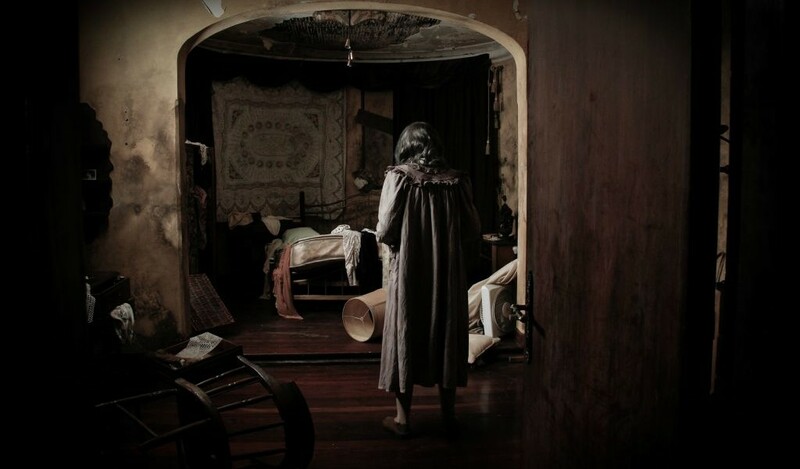 Released on some kind of parole/house arrest deal, a now-elderly Dulce searches the house and her memories for the clues that might clear her name and bring back her son. Director Alejandro Hidalgo, who also wrote the screenplay, utilizes all the classic ingredients of the genre to make the hairs on your neck stand. Door knobs turn, and doors open by themselves, ghostly hands reach out from the darkness — not to mention the whole thing’s set in a century-old Baroque mansion. The film’s atmosphere is captured brilliantly through crisp cinematography and dramatic lighting that makes the room you’re in seem enveloped in shadow. The plot in this one is a real mind bender — and who doesn’t love that? I can’t go into anything without revealing too much, but let’s just say La casa is one of those movies you discuss with the person you saw it with while you’re walking out of the theater. I can easily see the movie being picked up by some Hollywood studio and remade for an American audience, at which point it might just become the must-see horror film of the year.